I had a busy week of work and could hardly wait to escape as I ended my day Thursday afternoon. 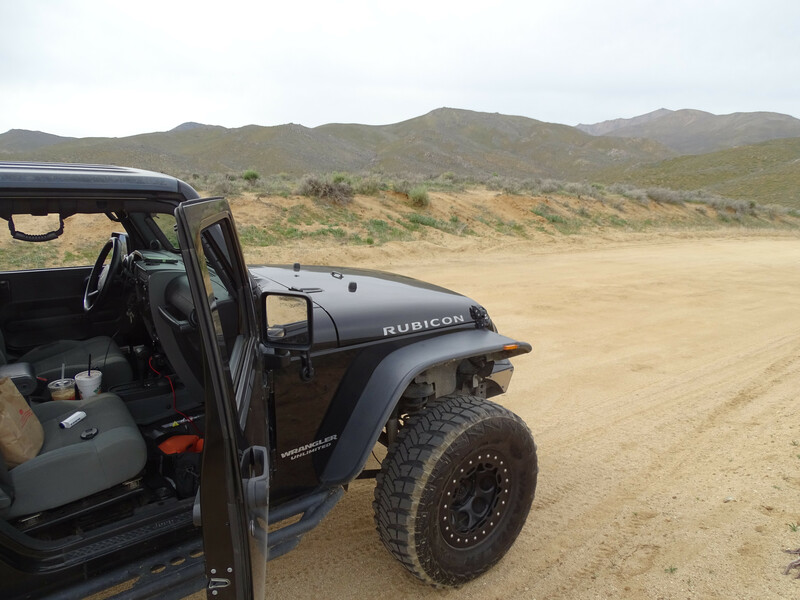 I headed home and packed the Jeep for a 4 day adventure hunt in the very remote area of the desert. 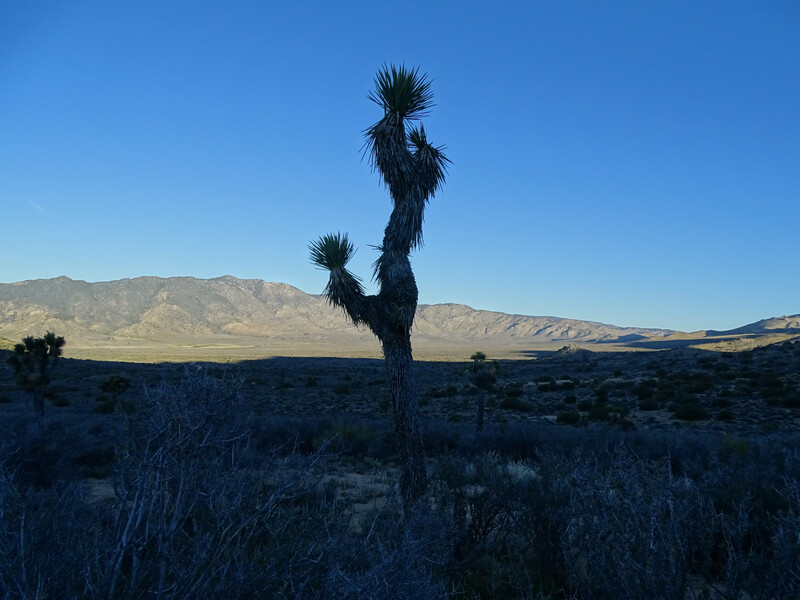 I left early Friday morning with my dog Marley where we drove for a good part of the morning to get us to our destination that took us through some very remote areas of the Mojave desert. 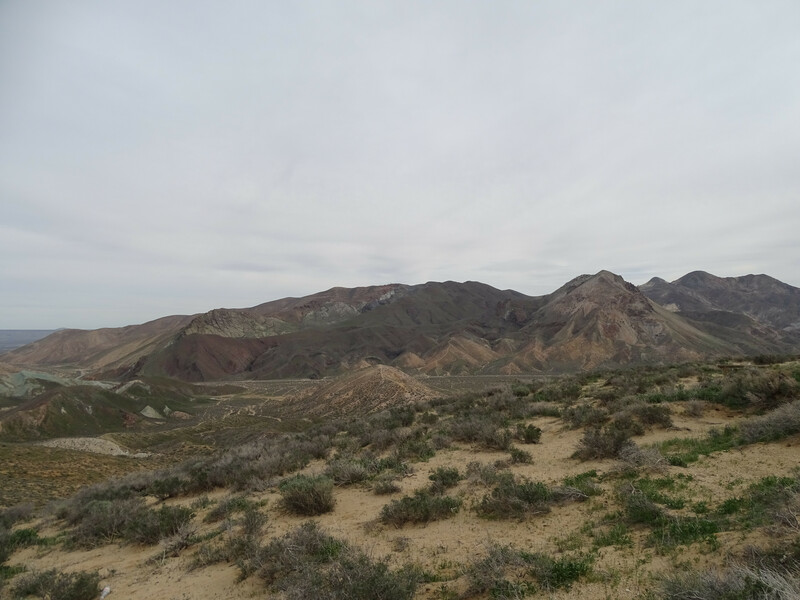 We made a few stops before we headed up a very steep mountain road that at one time was frequented by miners that traveled the trail with mules, wagons and horses. Marley and I drove quite a bit further and used our time to explore a few areas that we had planned to hunt the following day when SteveO and Terry arrived. I was too looking for a good area for us to camp and possibly have some shade to camp under. After a bit of searching I was able to find a good location that fit the criteria for not only hunting but camping as well. 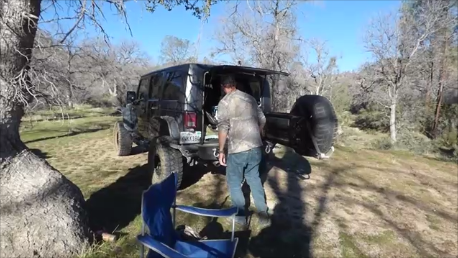 We parked the Jeep under a nice sized Pine tree and proceeded to unpack the hunting gear, cameras etc, and head out on foot to explore a bit. Marley was just as excited as I was to be in such a beautiful location, I too could hear the distant bark and chatter of the many Ground Squirrels that have saturated the area. After gearing up we set across a small creek that opened up into a large open field with fallen trees, rock outcroppings and nice green grass. 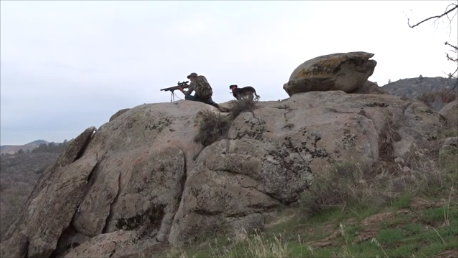 It wasn’t long before I found a nice spot to sit for awhile and try making some longer shots on these Ground Squirrels. 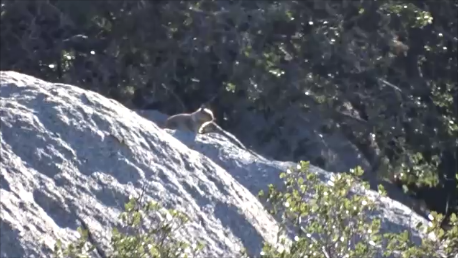 I spotted quite a few at some 100+ yards away sunning themselves high up on the rocks. The wind was actually quite fierce at times but would sometimes let up just enough to make a good shot. I had quite a few misses as I was trying to not only steady the rifle but the movie camera as well, gets frustrating when you miss a shot due to camera set up. 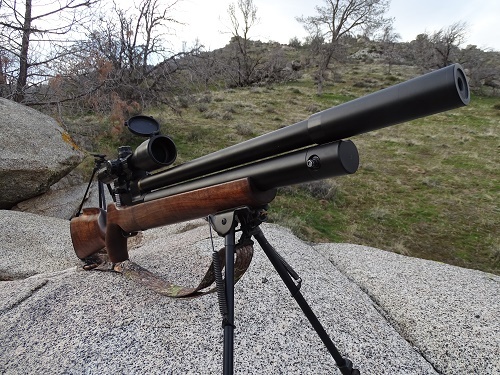 I was using the new American Air Arms EVOL .30 that was loaded with 44gr Predator Polymags that from prior experience work very well in the gun out past 130+ yards. 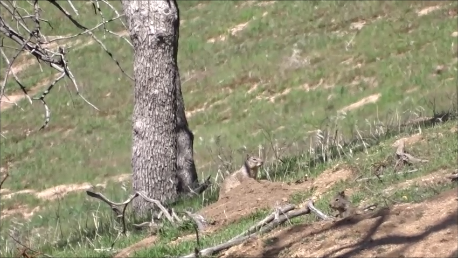 After a short time I had connected with several Ground Squirrels and will say it was very exciting as the place was simply crawling with them. The Polymags work flawlessly out of the EVOL and I even surprised myself a few times with shots that were simply amazing. 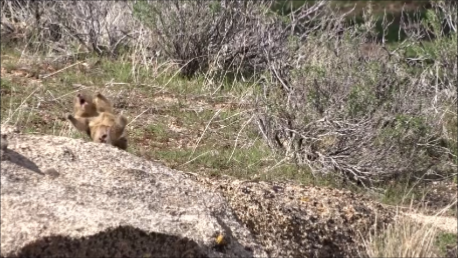 Here is one I took from over 130 yards as he was sunning himself on a cliff-face. After about 45 minutes in the same spot I decided to move locations onto a very large slab rock that overlooked a good part of the valley and offered near panoramic views. This area was great as I had spotted many Ground Squirrels moving from hole to hole around and under the many Oak Trees that covered the area. I took several from this location with the furthest being out to 90 yards. After some time hunting and trying the best I could to get some good video footage it was getting late and time for Marley and I to go set up camp. The following morning Terry and SteveO were to meet me in a set location that was quite a distance from where I was. After some thought I decided to pack up my gear and head back down the mountain many miles to the area we were to meet. This area was so remote that getting a cell-phone signal would be near impossible and I simply did not want to take the chance of them not finding me in the morning. 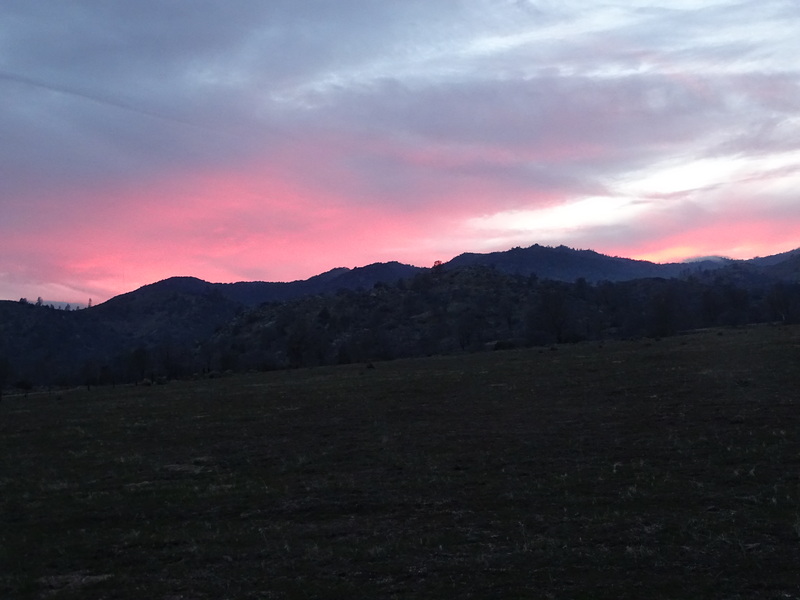 Marley and I packed up all the gear and headed down the narrow Jeep trail as by this time the sun was setting. After quite a bit of driving we came to the area where I was to meet SteveO and Terry in the morning. This area was actually very creepy as it was backed up into a rocky canyon and gave a bit of “The Hills Have Eyes” type of vibe. 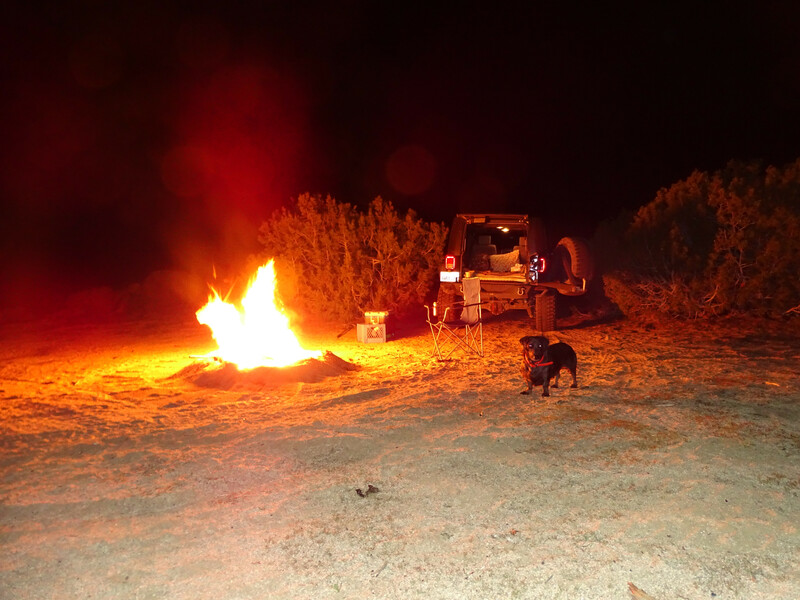 Thankfully Marley kept me company as I set up camp for the night and made a good size bon-fire to keep the critters away. We slept quite well that night and awoke to a beautiful clear morning with thankfully no wind that would sure to make a great day of hunting. 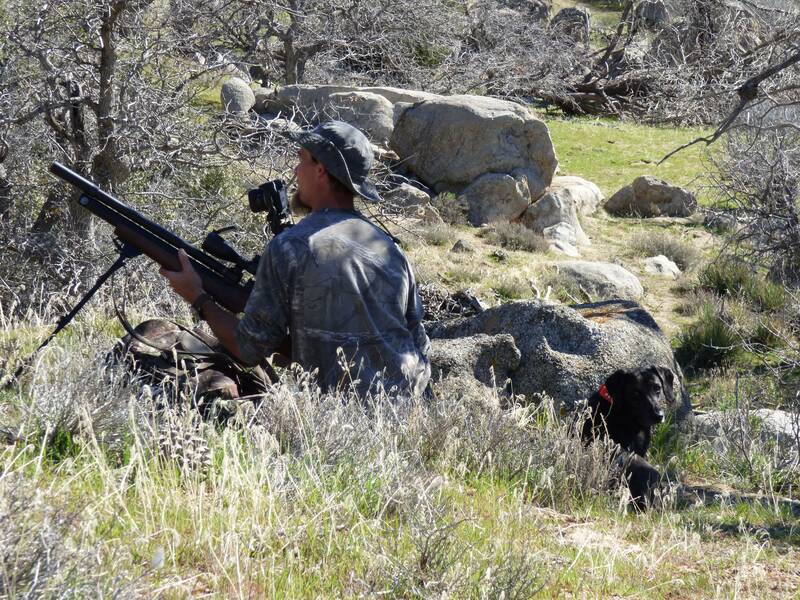 The guys weren’t expected for another few hours so I had decided to get in a little Jackrabbit hunting before they came. The morning was just gorgeous as the sun came up and the location looked to be perfect habitat for hunting Jackrabbits. 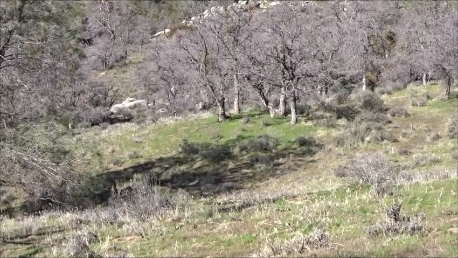 We walked up over a ridge where I hoped to be able to spot some amber ears from the distance. After about a mile of hiking we came up over a ridge where we could see for several hundred yards ahead of us, perfect place to sit quietly and enjoy the morning. 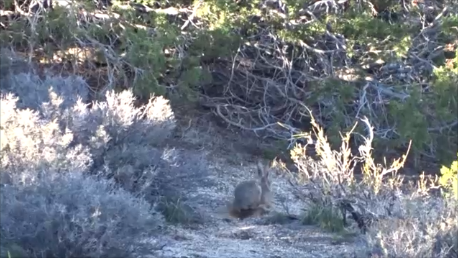 I soon spotted several Jackrabbits that were near a bit beyond 200 yards on the side of a densely vegetated hillside. I ended up taking the shot on one and came within several inches of hitting it, actually from the looks of the photo I may have connected with its tail. 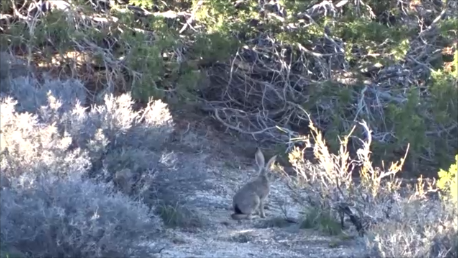 We spotted several more Jackrabbits as we made our way back to camp as by this time I was expecting SteveO and Terry to arrive to meet us. As we made our way around the ridge I could see that the guys had arrived and were waiting to spot me coming down through the rocks. After a few minutes of saying our hellos we moved the caravan to the location I had hunted the day before, where we would spend the next several days. The guys were most excited about the spot, especially since I had told them how active it was the day before. 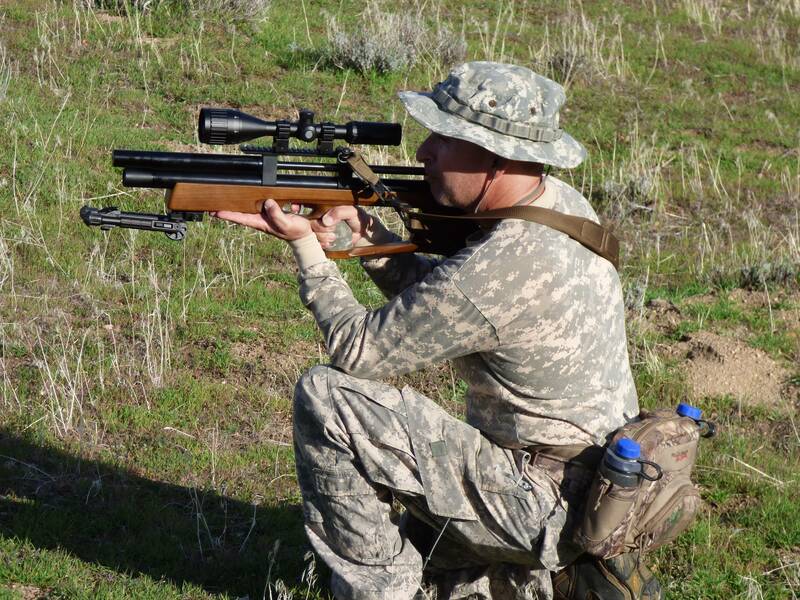 Terry had spent some time setting up some targets so they could zero the rifles and warm up for the day of hunting ahead. 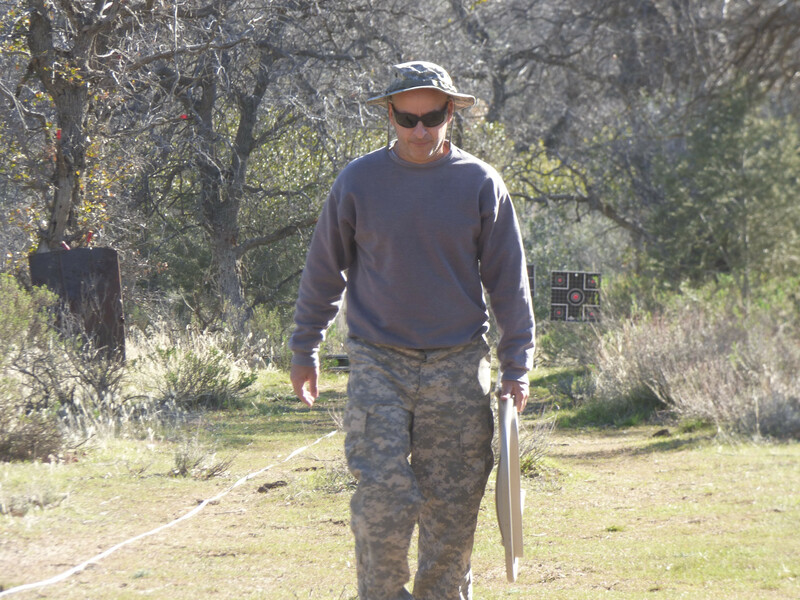 After about 20 minutes we were ready to head out across the creek and search out some active Ground Squirrel areas. 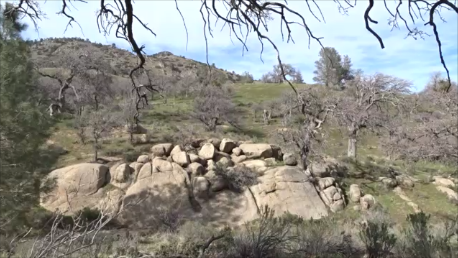 I showed Terry and SteveO a few of the areas I felt to be active and they settled for a spot that was under several trees and offered a good view of some rock-outcroppings. 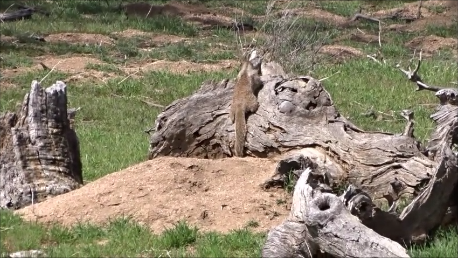 SteveO and Terry both almost immediately connected with some Ground Squirrels that were between 45 and 65 yards. The rock had several that were moving about and would sometimes give good opportunity as they climbed the rocks, stopping frequently. 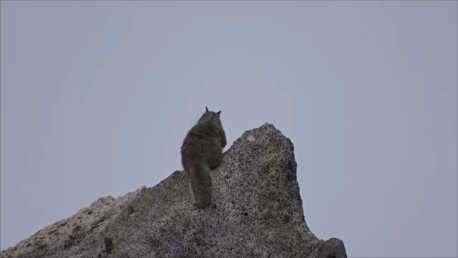 After around 45 minutes SteveO spotted a Ground Squirrel at 80 yards peeking his head up from behind a very large boulder, the only thing you could see was his eye. 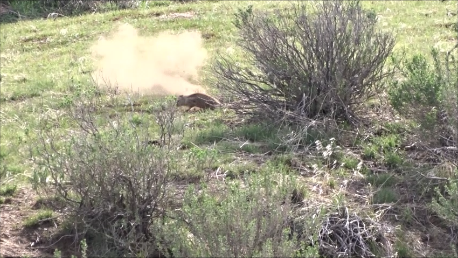 I spent a little time watching the Ground Squirrel until I felt comfortable to take the shot that was a very tiny target. I made the shot and connected perfectly considering the range and the angle I was at, really only had a tiny black eye for an aiming point. I took a short little break and then followed the guys around for awhile hoping to capture some good video footage. 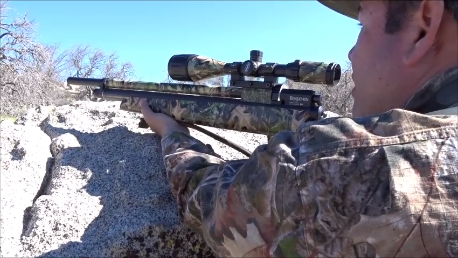 Terry ended up spotting a Ground Squirrel next to a tree at 85 yards where he connected with a loud distinct THWACK sound. 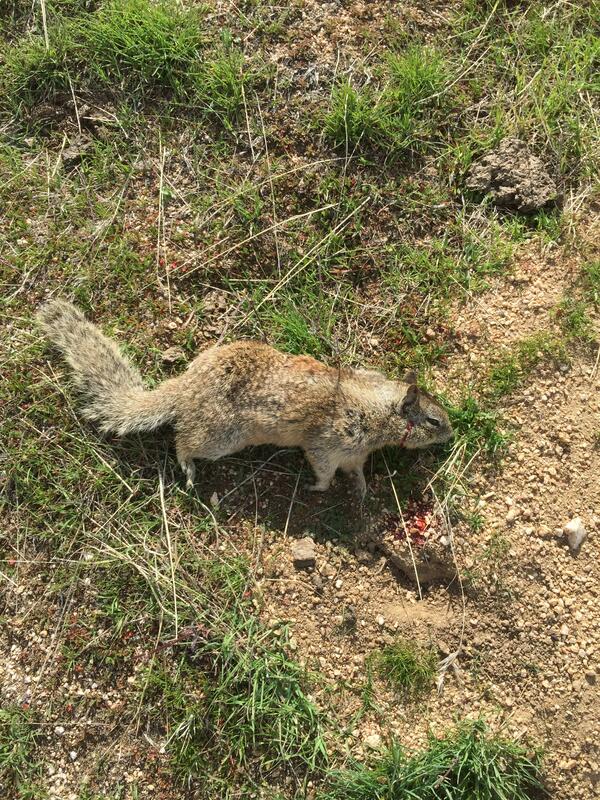 These Ground Squirrels were literally all over the place, pretty much just needed to pick a spot and go to town. As SteveO and I were walking we heard the distant crack followed by a THWACK, OOOOOOH sounds like he got one. 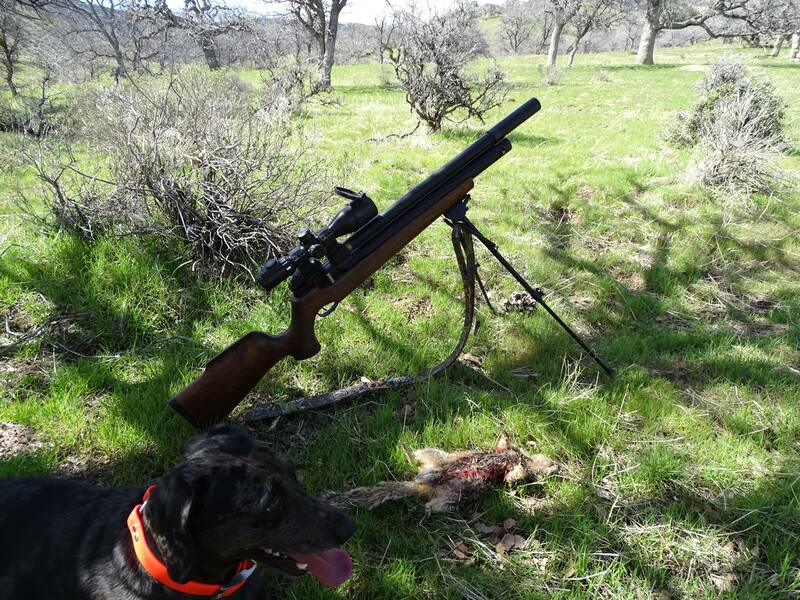 SteveO, Marley and I went to check it out and sure enough Terry made a head-shot that looked to be near 70 yards. 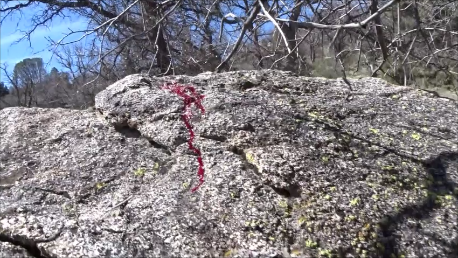 The obvious signs of death by lead poisoning were all over the rocks, looked like a murder scene. 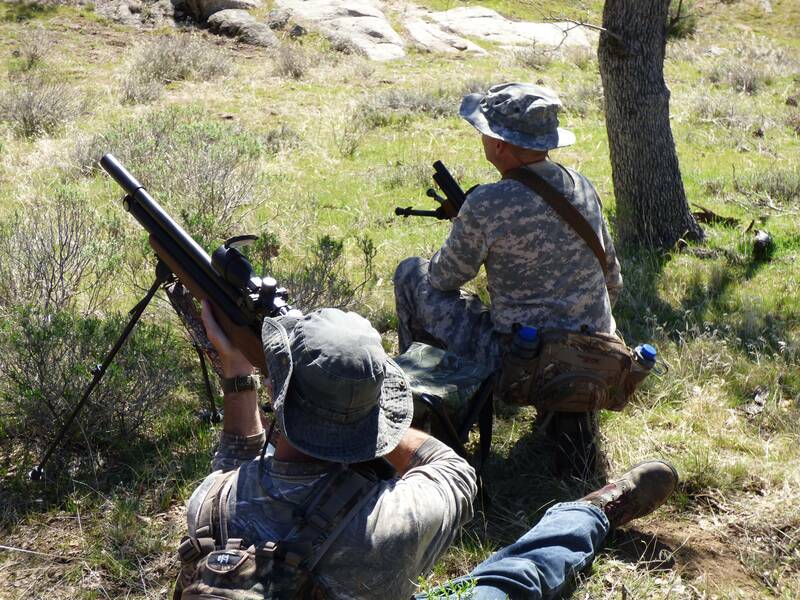 After a quick walk back to camp we sat in the shade while enjoying our lunch, followed by a little more target shooting. After a few minutes we headed out again, this time being a little more familiar with the area and where the active spots are. 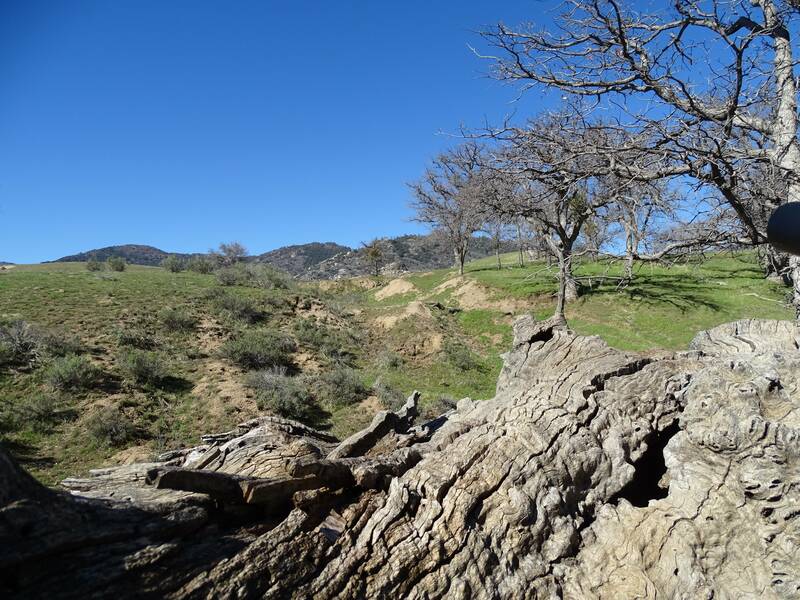 I choose a spot up under a tree that looked down on some fallen logs and large rocks. 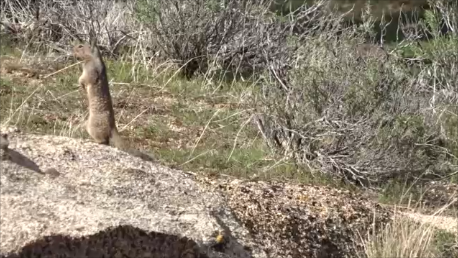 This area had a good field of view of several Ground Squirrels that were running around with several that were sunning themselves on the flat-rocks. 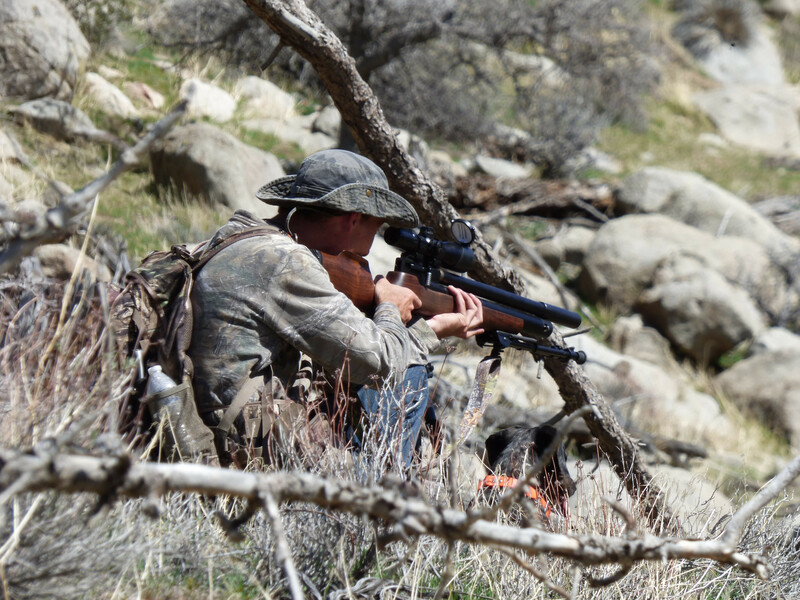 I ended up shooting one that was over 80 yards as he turned facing away from me, I think everyone heard the THWACK that seemed to echo throughout the canyon. 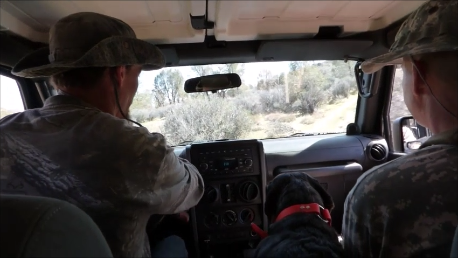 After a little over an hour I asked the guys if they wanted to take a ride in the Jeep and go further up the mountain to another location that SteveO and I hunted last Summer with great luck. This area upon arrival was obviously extremely infested with Ground Squirrels and was apparent that we didn’t need to look far to find opportunity. 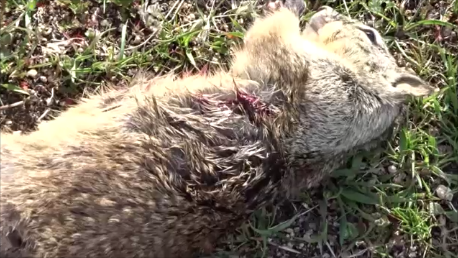 Within about two minutes we all had at least one kill each with hundreds more in sight, some as far away as 150 yards. 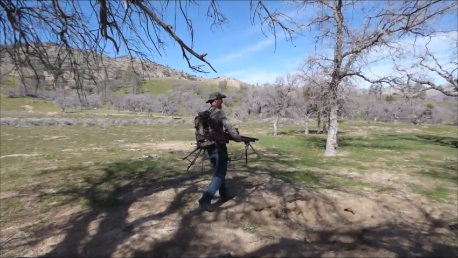 I worked my way into the back of a giant field, taking several as far as 130 yards. This area had many beautiful Oak trees to sit under along with nice short green grass that made spotting the Ground Squirrels quite easy. 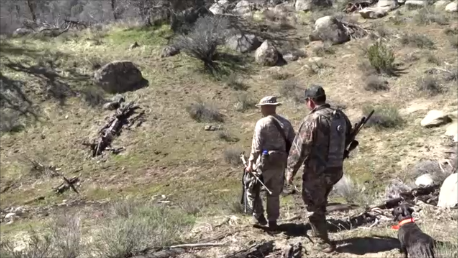 I could hear the distant sounds of both Terry and SteveO making connections, very loud and could be heard throughout the entire valley. This may have been my favorite area of the day as it had so much great opportunity for long range shots. 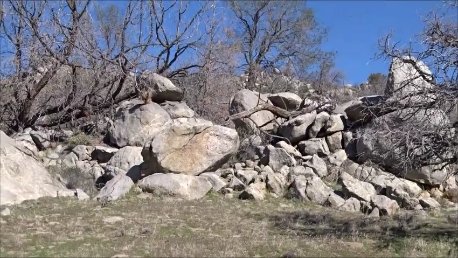 After following a faint trail down through the valley I came across a spot where I spooked several Ground Squirrels off a rock formation. I figured Marley and I would sit and wait several minutes for one to come back up on top of the rocks. 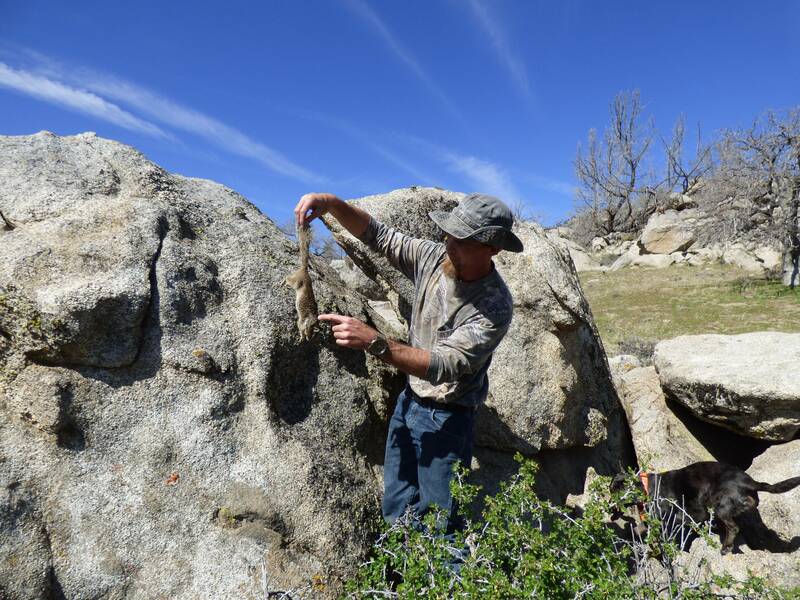 It didn’t take long before a Ground Squirrel came back up onto the rock to sun himself, I took a devastating shoulder shot at 65 yards that blew him right off the rock. About this time we met back to the Jeep and headed back down to camp with near 60 kills between us for the day, even the dog was pleased. It was nice to just be among good friends and be able to relax and enjoy the beauty of nature. 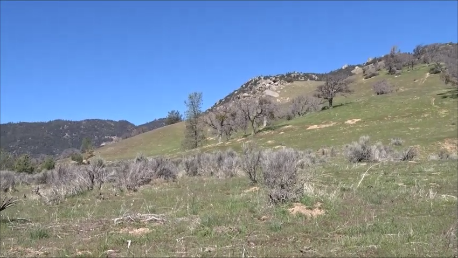 This area was truly amazing and offered some of the best Ground Squirrel hunting I have ever encountered. 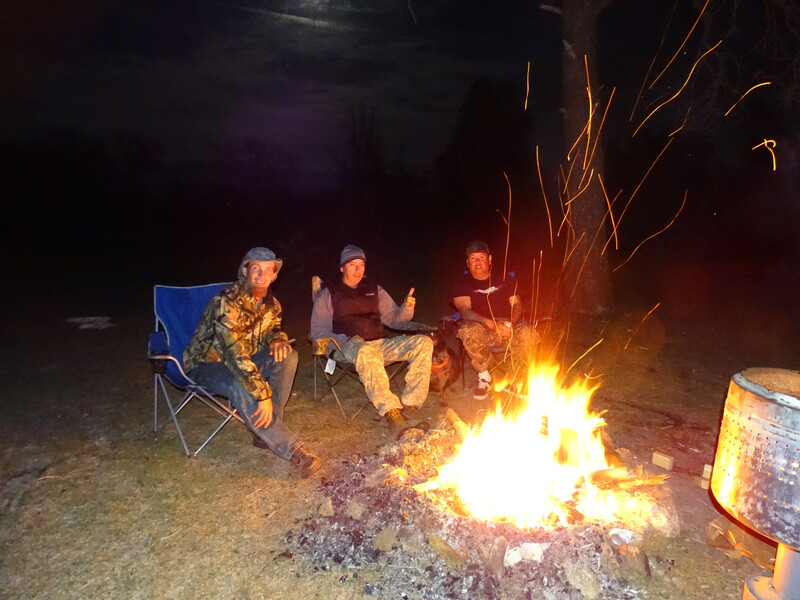 We set up a fine camp and even cooked hotdogs, burgers while we enjoyed the company of good friends and the light of the full moon. Later in the night I started a good size fire to take the chill off and add to the rustic backdrop of this beautiful place. The following morning we were up early and ready to hunt as SteveO would be leaving us around 9:00 am. We crossed the creek and decided to try a few different areas that we had not explored yet, one of which had a huge amount of rocks. 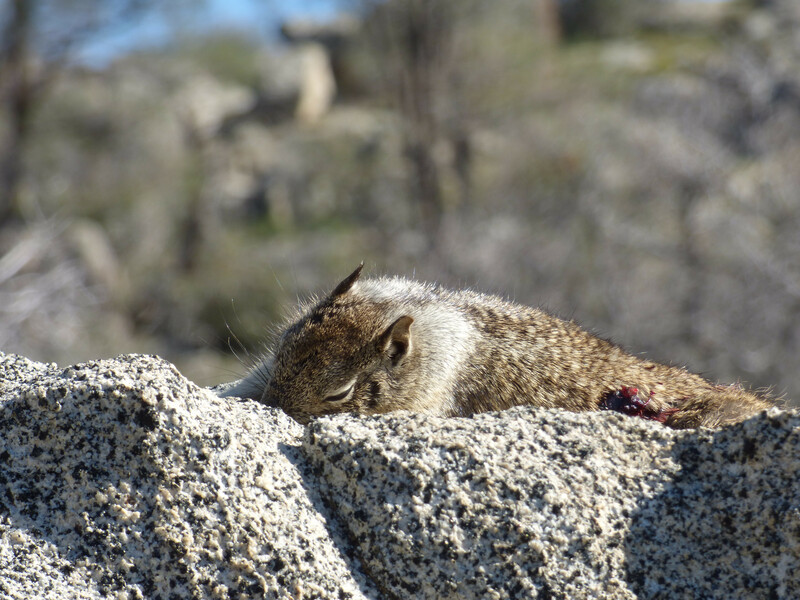 We all had connected with several Ground Squirrels that in some cases were very difficult to see against the endless assortment of rocks. 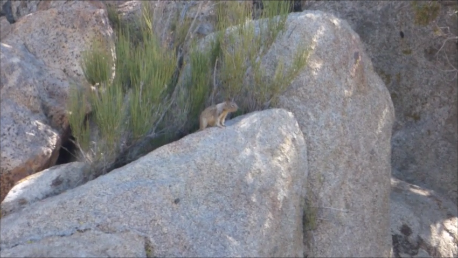 The one I was after was high up on a large boulder, almost acting as though he was king of his castle. 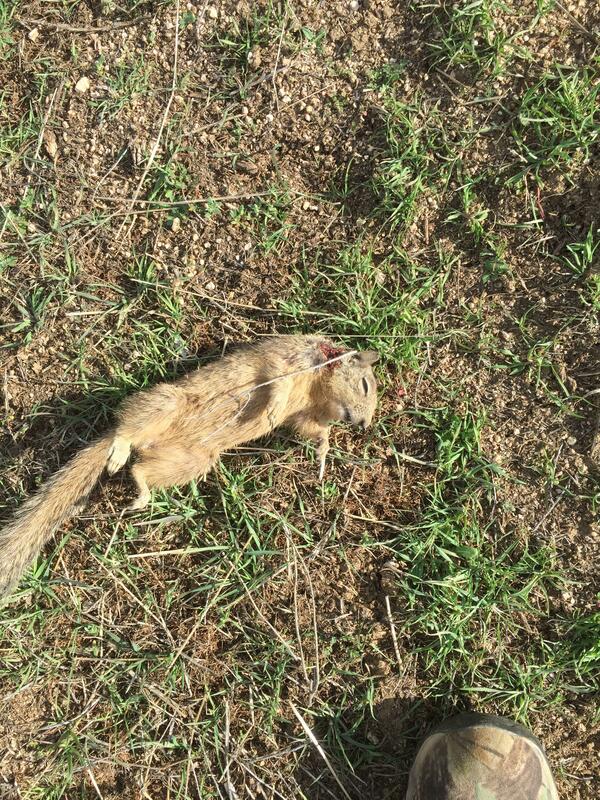 The trouble with hunting Ground Squirrels in this type of habitat is that finding the kill can become a challenge in itself, loosing them in holes, cracks etc, can become very frustrating. All three of us made some incredible shots in this spot but the area was simply near impossible to recover our kills from, even with the dog. SteveO soon had to leave us where it was now just Terry, Marley and I to hunt for the rest of the day. Terry and I decided that we would take the Jeep and venture back up to the other area from the day before. 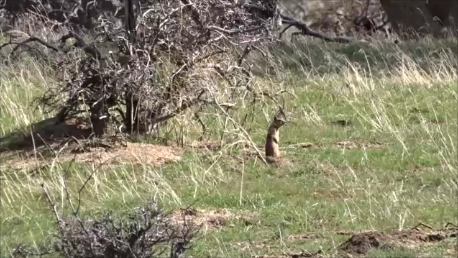 We split up and headed out separate ways where I soon could hear the distant clap of his Tapian Mutant making some heavy Ground Squirrel connections. 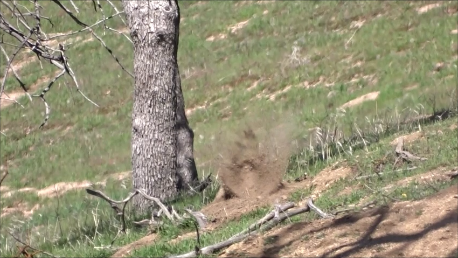 I on the other hand was content near the Jeep where I spotted several at 150+ yards where I was able to connect with one. Terry and I made quite a few kills through the morning putting our total to well up over 90 I believe.